Rolling, burbling, churning along, tributaries lead us to the river. These winding origins are sometimes small, but often powerful. Tributaries refresh us, urge us forward, guide us through the trees. The Fourth River’s weekly online publication, Tributaries, showcases the brief and the inspiring, that which sustains us and takes us through unexpected courses. Each week we will feature one short piece on our website. There is no fee to submit to Tributaries, so please send your best work! Guidelines at our Submittable site. Our Tributaries Editor in Fall, 2017, was Ira Sukrungruang. Now please welcome Geeta Kothari as Tributaries Editor for Fall, 2018. 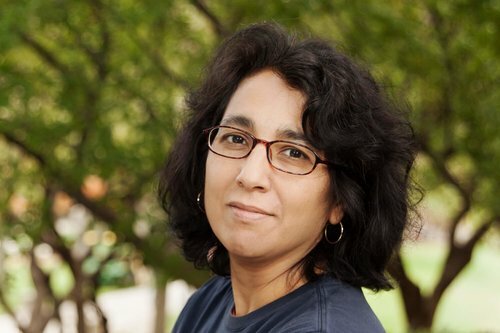 Geeta Kothari is the nonfiction editor of the Kenyon Review. Her writing has appeared in various anthologies and journals, including New England Review, Massachusetts Review, and others. Her essay “If You Are What You Eat, Then What Am I?” is widely taught in universities and has been reprinted in several anthologies, including in Best American Essays. She is the editor of ‘Did My Mama Like to Dance?’ and Other Stories about Mothers and Daughters and recently published a short story collection, I Brake for Moose and Other Stories.